Planning an Easter basket for a loved one with food allergies? We’ve got you covered! We have many options from manufacturers that have gone the extra mile to disclose their behind-the-scenes allergen handling via our dedicated platform. As members of our Manufacturer Partnership, they’ve gone above and beyond the FDA’s requirements to disclose how they process the 11 allergens we track, including the Top 8 (peanuts, tree nuts, milk, eggs, wheat, soy, fish and crustacean shellfish) as well as sesame, mustard and gluten. Here follows a selection Easter-themed candy and cookies, all peanut and tree nut free with many free of other allergens (check out the allergen profile that accompanies each selection.) You’ll find many more in the Easter Edition of the Safe Snack Guide. All allergen and product information is provided directly by the manufacturer, not from the label. 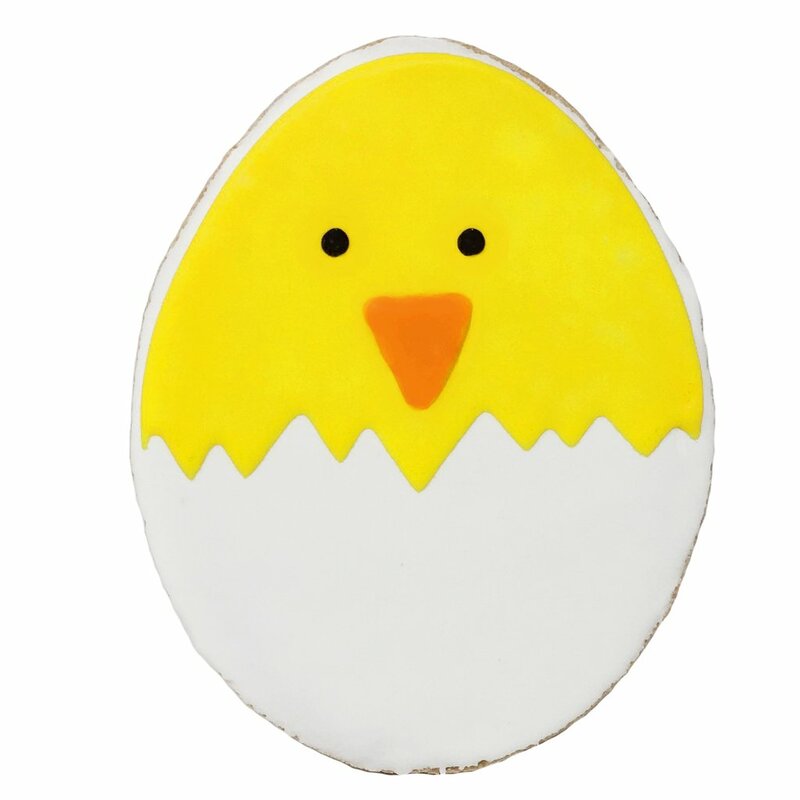 eggnots® is a dyeable ceramic replacement for Easter eggs. Whether you’re a family looking to share the Easter egg-dyeing tradition, a hobbyist looking for a new medium, or a crafter looking for creative ways to decorate your home, eggnots® is the product you’ve been searching for! Surf Sweets Jelly Beans are full of fresh fruit flavor. Made with organic fruit juice and sweeteners, Surf Sweets are free of corn syrup, artificial colors and flavors. Surf Sweets are made and packaged in the USA in a facility free of the 10 most common food allergens. Each package contains cherry, grapefruit, grape, lemon, strawberry and orange flavors. This convenient multipack contains 10 .5 oz treat packs, perfect for filling Easter eggs or baskets. Wholesome Organic Bunny Lollipops are the perfect springtime treat. Organic, NonGMO project verified, nut-free, gluten free, corn free, vegan and kosher, these treats are simply the best. They are also made without corn syrup and artificial colors and flavors. 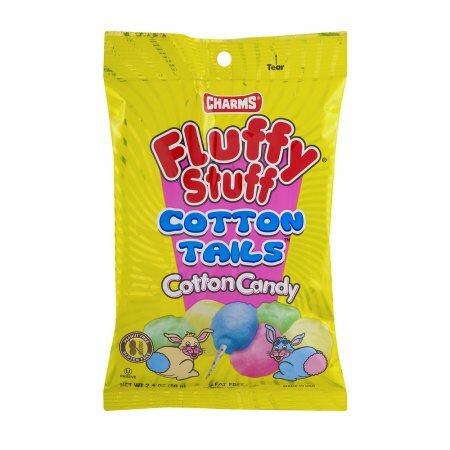 Fluffy Stuff offers a traditional cotton candy assortment of multi-colored fruit-flavors. And unlike traditional cotton candy that requires immediate consumption, Fluffy Stuff are packed in moisture-resistant, air-tight bags, a state-of-the-art production technique that ensures fresh, flavorful, fluffiness in every bite—all year-round. Lollipop with a bubble gum center. 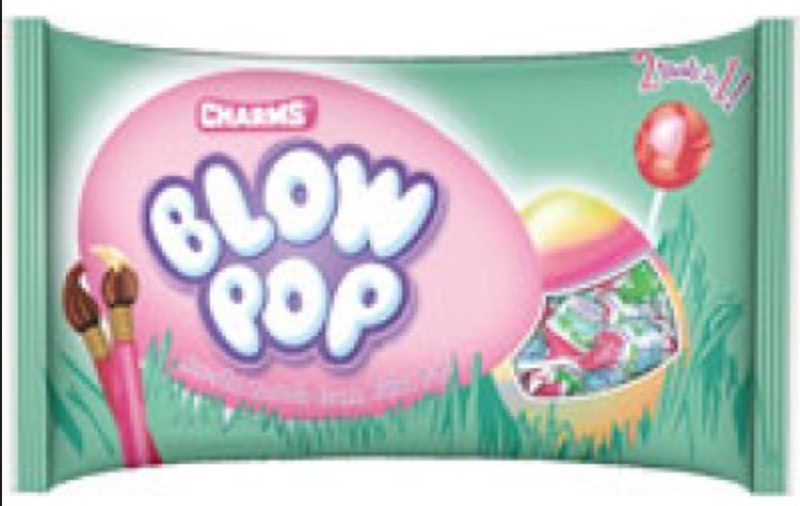 Charms Easter Blow Pops are sure to be a treat in any Easter basket. Enjoy two treats in one, now in a limited edition Easter wrapper. 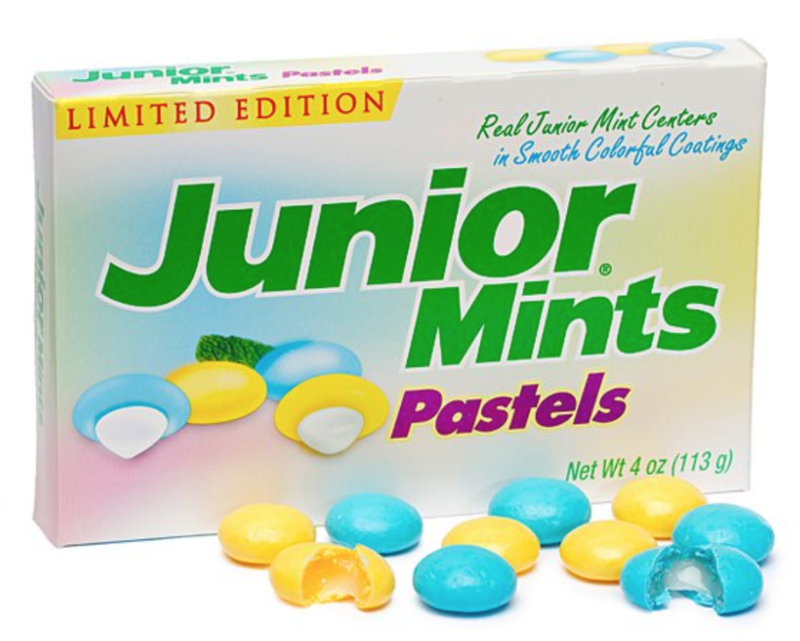 Springtime is here and that means Junior Mints Candy Pastels are back! Enjoy a cool refreshing mint center coated in a pastel candy shell. Perfect for Easter basket building. 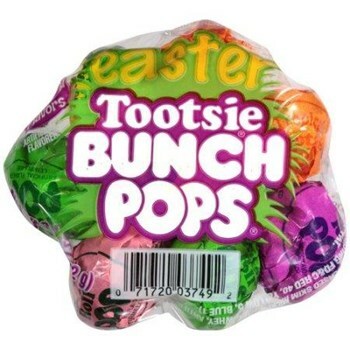 Fill your Easter Baskets with Easter Egg Shaped Tootsie Pops! Each bag contains Orange, Cherry, Grape, Raspberry and Chocolate flavors–ALL with that chewy chocolate Tootsie Roll center you love! Great for Easter baskets! If you love Tootsie Pops, you’re going to love our Tootsie Tropical Easter Bunch Pops, in 5 bright colors for Easter. Each bunch pop contains 8 Tootsie Pops in Watermelon, Pineapple, Purple Punch, tangerine and Lemon Lime flavors with that soft, chewy Tootsie roll center we all enjoy. Fill your Easter Baskets with Easter themed Chocolate Midgees! 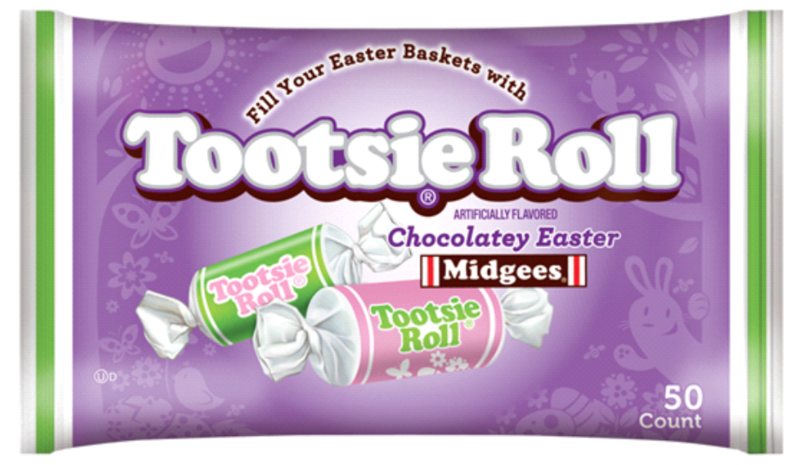 These tasty candy treats offer the same look and chew of the original Tootsie Roll, but for Easter, each delicious, individually wrapped, bite-sized treat is wrapped in a fun springtime color! This is a Limited Edition item, so get your Easter midgees while they last! 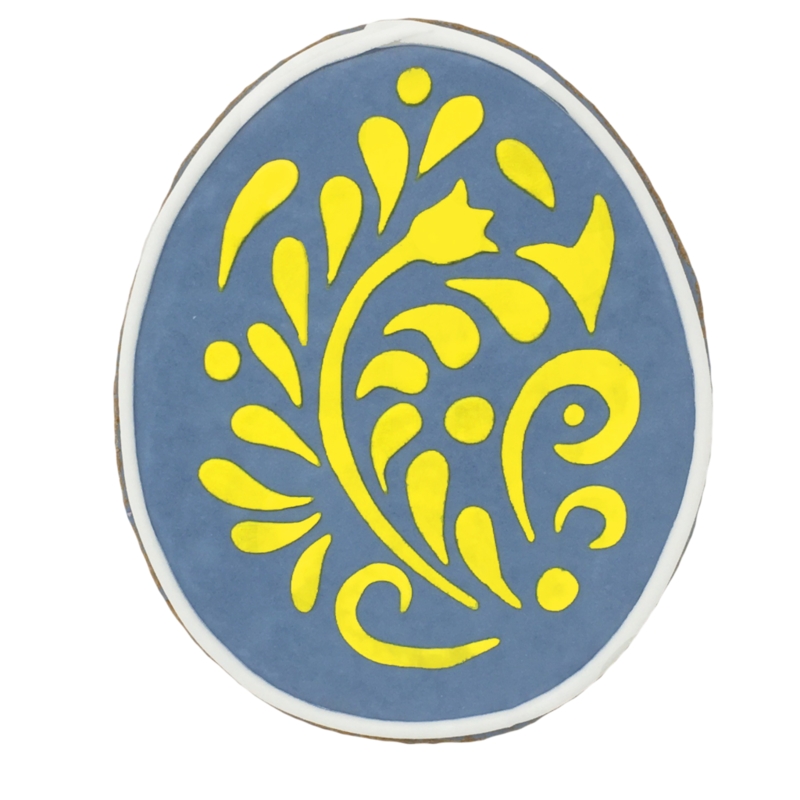 The Blue Easter Egg Cookie is new for this year and has a gorgeous filigree design! 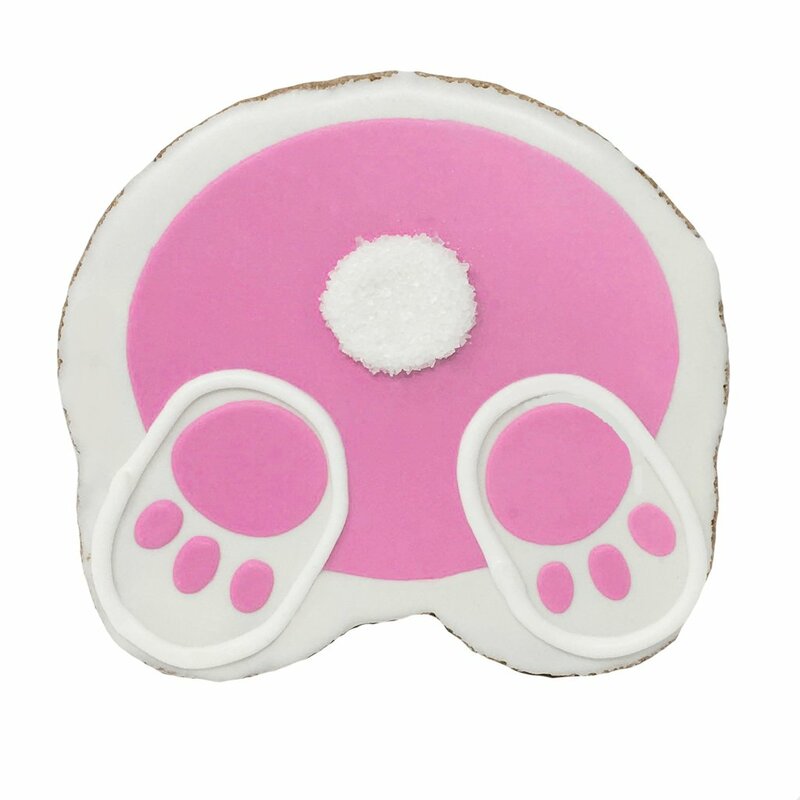 Our Easter Bunny Cookies are as delicious as they are cute. How precious is that face? Previous articleEaster Chocolate: All Top 8, Sesame, Mustard and Gluten-Free!